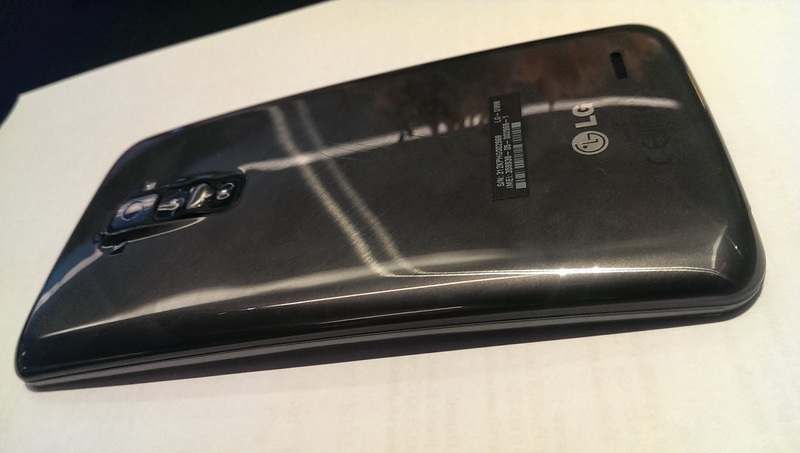 Frontal view of this LG G Flex may not differ from other smartphones but once you tilt it to the side, or when you put it flat down on the table, you will notice the slight curve. LG boast this G Flex is first ever curve/flexi smartphone in the market and World First flexible non-removable battery with 3,500 mAh. It is loaded with Android 4.2.2 which I hope by early next year they should get hold of Kit Kat (4.4). The Snapdragon 800 processor achieved 40% better performance than its predecessor Snapdragon 600 processor. Here it is, the world's first smartphone that is curved both in the inside and out with the first curved display and battery. 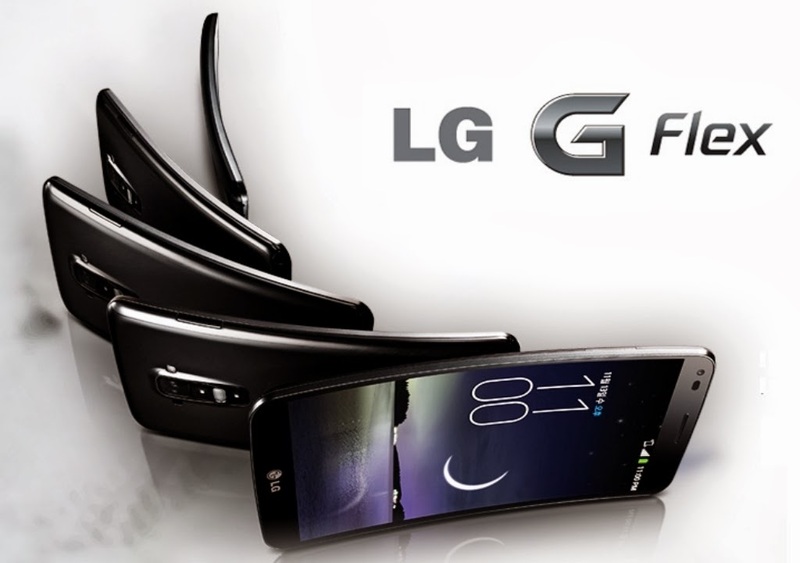 The arc of the LG G Flex is said to be optimized for the shape of our faces and deliver improved audio quality, louder by 3 decibels, as compared to a normal straight phone. It offers a more reassuring grip, look more natural when talking with it and comfortable when pocketing it at the back of my jeans. With the large 6 inch plastic OLED display, imagine watching a movie in the theater screen usually designed with a curve and bring it now closer to your face. LG hope to bring the same effect of cinematic-like immersive viewing experience, very good for those of us watching Drama or Movies in it. Of course! In a real world environment, you don't use a knife to scratch the surface, don't be crazy! At most, you sit on it or use hand to apply certain amount of pressure, it is still able to withstand and not give way. Try doing it on other normal straight phone, you might experience undesirable outcome. You can turn on the device either by pressing the "Power button on the Rear Key"
Overall, I'm kind of like the grip of the phone when typing it on the touch screen keyboard and watching video with it. However, I am not able to comment much about the battery life on a normal usage but I assume it should last you for one full day or more. LG sure is not loosing out in the competition where every technological companies out there are trying to outsmart each other. 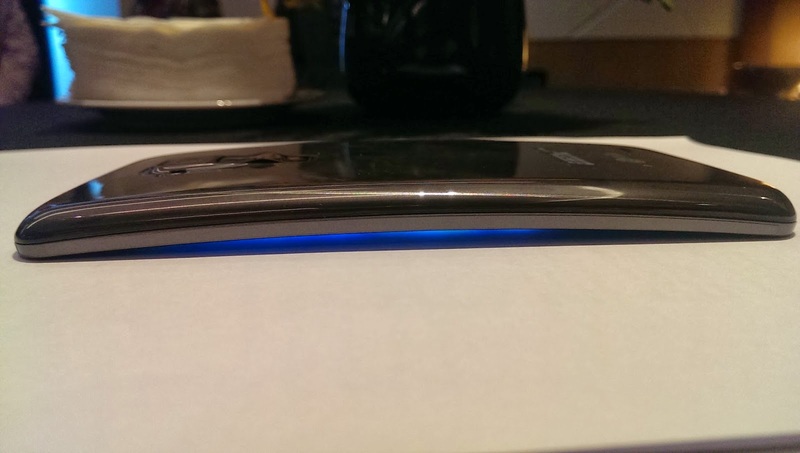 LG may already working on a smartphone that can bend totally or fold-able OLED? 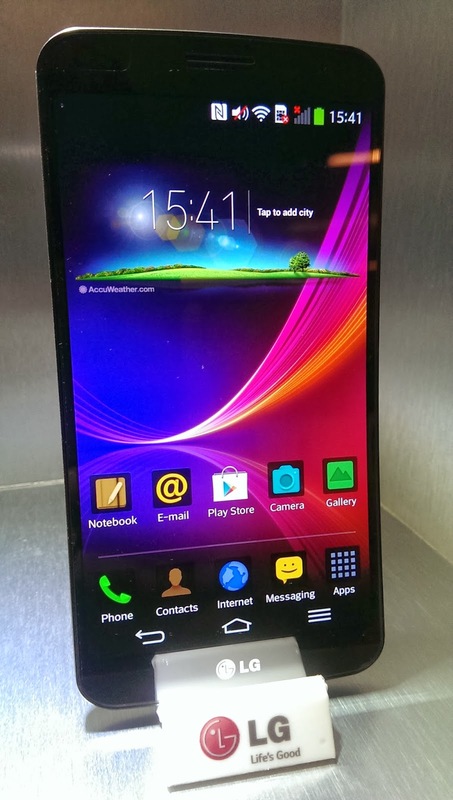 The LG G Flex is currently available for pre-order from SingTel, StarHub and M1. It will also be available from 21st December, at a recommended retail price of S$1088. If I am able to find a cheaper price, I will post it here!